I am beyond thrilled to share with all of you the newest addition to Salvaged Soul. RIOT Social Club is next level. It is something that is not out there yet. I know that because until now there was nothing created by us. Two striving mothers and female entrepreneurs wanting to give opportunity to others in our shoes. I know I tend to rant but I wouldn't be me if I didn't. I want to give you guys a little background on how this idea came about. Erica of EP Design House and I started working together several months ago when I hired her to rebrand Salvaged Soul, I needed to show more of me through my logo, website, ect. She was ON POINT. Her work ethic was just as great as the designs she was creating for me. Always very responsive and anyone who knows me knows I am available. All. The. Time. So it's important when I am working with someone they are too. It's a part of business, especially if you are one to put your heart and soul into something you're building for yourself and your family. NEVER miss a beat. She never missed a beat. After working together on a couple more collaborations I felt like Erica got me. ||#soulsisters|| We could throw ideas back and forth about everything from our own businesses to other businesses we felt would do so great working together or could use our advice or input. Not in an insulting critiquing way but in more of a helpful way. We had been talking for months about putting together a group where woman can connect and leave with more than just a fun day. We would have up-and-coming female entrepreneurs connect with our RIOT Girl the most influential and inspiring woman in the nation. Also, somewhere to create collaborations. 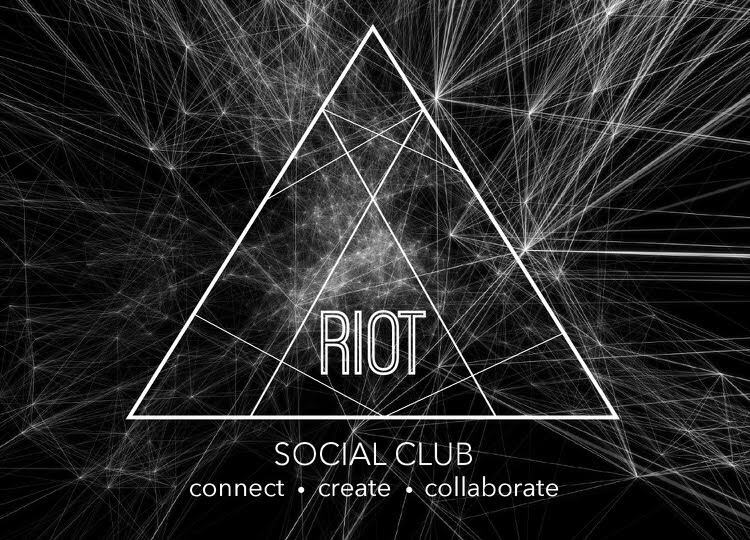 And so it was that 'RIOT Social Club' would be born. ||CONNECT|| On top of hard work and dedication I strongly feel my constant push to connect with other woman has allowed me to build the clientele I have. Going all the way back to my business being less than a year old when I wrote into the 'Bethenny Show', had I not put myself out there and risked rejection I don't know if Salvaged Soul would be where it is today. ||CREATE|| Always be you. Allow yourself to go off the trail sometimes and be creative. Do what fuels your fire, I promise it will show through. ||COLLABORATE|| This might be the all time key to success. I'd dare to bet on it. It's a win win win! Sometimes you have to give in order to receive. What I mean by that is when you're building a business networking and collaborating will put you on a platform and provide not only a great experience working with fellow entrepreneurs but it's marketing in the most effective way. We will be holding our first social on an invitational base for the kickoff. Thereafter we will have a limited number of tickets that can be purchased prior to the event date. ©2014 SALVAGED SOUL. ALL RIGHTS RESERVED.